Newswise, April 21, 2016— Nearly nine of 10 Americans have relied upon healing prayer at some point in their lives, praying for others even more than for themselves, according to a study by a Baylor University epidemiologist. “The most surprising finding is that more than a quarter of all Americans have practiced laying on of hands — and nearly one in five has done so on multiple occasions,” said Jeff Levin, Ph.D., M.P.H., University Professor of Epidemiology and Population Health and director of the Program on Religion and Population Health at Baylor’s Institute for Studies of Religion. “Outside of belief in God, there may be no more ubiquitous religious expression in the U.S. than use of healing prayer,” Levin said. The findings also suggest that prayer may be among them most widely used forms of treatment for medical problems, rather than a “fringe activity” as many people might believe, he said. The study is published in the Journal of Religion and Health. Findings are based on analyses of data from the third round of the Baylor Religion Survey, a nationally representative population survey conducted in partnership with the Gallup Organization in 2010. More than three-fourths of Americans have prayed for their own healing, and nearly a third do so often, Levin said. Nearly 90 percent have prayed for the healing of others, and more than half report doing so often. More than half of Americans have asked for healing prayer and have taken part in prayer groups. The practice of laying on of hands is found in the Bible and has long been used by Christians and Jews as a means to ordain clergy and to bless people, but also to transmit physical healing, Levin said. “For many of us, the image that might come to mind is the faith healer. But these findings show that the practice is much more widespread, as is healing prayer in general,” he said. While certain factors, such as frequent religious attendance, reading Scripture or meditation, were predictive of at least one form of healing prayer, the one most consistent predictor was a loving relationship with God, the study found. “People who feel a close connection to God, who love God and feel loved by God, are the very people most likely to pray for healing: for themselves or others, alone or in a group, and verbally or through laying on of hands,” Levin said. “These people are taking to heart the biblical call to ‘love your neighbor as yourself,’ something found in both the Old and New Testaments,” he said. Whether the prayers work is beyond the scope of his research, Levin said. “So much has been written in the medical literature in the past several years about the possibility that prayer heals,” he said. “There have even been a series of controversial and inconclusive clinical trials. The next step will be to investigate whether there are differences in rates of healing prayer across religions and denominations, Levin said. Jeff Levin, Ph.D., M.P.H., is University Professor of Epidemiology and Population Health and director of the Program on Religion and Population Health in Baylor’s Institute for Studies of Religion. He also serves as adjunct professor of psychiatry and behavioral sciences at Duke University School of Medicine and as an affiliated member of the Center for Medical Ethics and Health Policy at Baylor College of Medicine. His most recent book is “Upon These Three Things: Jewish Perspectives on Loving God” (ISR Books, 2015). His biography has been included in Who's Who in America, Who's Who in Theology & Science, and International Who's Who in Medicine. Newswise, April 21, 2016– Precision medicine’s public face is that of disease — and better treatments for that disease through targeted therapies. In work presented Monday at the American Association for Cancer Research’s annual meeting in New Orleans, Hsu and other researchers from Fred Hutch, the University of Michigan and other research groups debuted their latest progress in precision prevention — an in-the-works method to predict risk of colorectal cancer that integrates genetic, lifestyle and environmental risk factors. This research is not yet ready to move into clinical practice, said Fred Hutch epidemiologist Dr. Ulrike "Riki" Peters, one of the study authors. But it’s the first attempt at combining so many different areas of colorectal cancer risk into one convenient risk predictor. Current risk stratification methods for colorectal cancer screening recommendations are relatively crude, based on age and family history alone. No family history of the disease? Start colonoscopies at age 50. Have an immediate relative who had colorectal cancer? Screen at age 40. But these methods are likely missing many at risk, Peters said. Eighty percent of those with colorectal cancer have no known family history. And, unlike some, it’s a cancer where screening and prevention are tightly linked — colonoscopies can catch premalignant lesions and if those lesions are removed, the patient is spared from ever developing cancer. Even though the disease is highly preventable if caught in the precancerous stages, colorectal cancer is the second leading cause of cancer-related deaths (for men and women combined) in the U.S., topped only by lung cancer. So along with encouraging people to get the recommended colonoscopies, a better sieve to catch those at higher risk of the disease could have an impact both on cancer prevention and on sparing those at low risk of the disease unnecessary procedures. The improved risk prediction method was developed using data from more than 18,000 people, approximately 8,400 of whom had colorectal cancer. These data come from two large colorectal cancer studies that Peters leads, known as the Genetics and Epidemiology of Colorectal Cancer Consortium (GECCO) and the Colorectal Transdisciplinary study (CORECT). The model incorporates 19 known environmental and lifestyle risk factors for the disease, as well as 64 common genetic risk factors. Peters and her colleagues have been working for years to identify the genetics behind colorectal cancer. It was always her goal to use that information to improve risk predictions, she said, but it’s only recently that the team has amassed enough links between genes and disease to be able to work on the precision prevention piece of the puzzle. At Fred Hutchinson Cancer Research Center, home to three Nobel laureates, interdisciplinary teams of world-renowned scientists seek new and innovative ways to prevent, diagnose and treat cancer, HIV/AIDS and other life-threatening diseases. Fred Hutch’s pioneering work in bone marrow transplantation led to the development of immunotherapy, which harnesses the power of the immune system to treat cancer with minimal side effects. An independent, nonprofit research institute based in Seattle, Fred Hutch houses the nation’s first and largest cancer prevention research program, as well as the clinical coordinating center of the Women’s Health Initiative and the international headquarters of the HIV Vaccine Trials Network. Private contributions are essential for enabling Fred Hutch scientists to explore novel research opportunities that lead to important medical breakthroughs. For more information visit fredhutch.org or follow Fred Hutch on Facebook, Twitter or YouTube. Newswise, April 14, 2016— When you’re pounding along an icy pavement or sweating through a gym workout, you try to remind yourself of the many health benefits of exercise. Between gasps, you can say that a healthy, fit lifestyle helps prevents obesity, a worldwide problem of increasing magnitude that has been linked to cardiovascular disease and diabetes. But here’s one more—exercise may decrease cancer incidence and slow the growth rate of tumors. That’s the conclusion of a mouse-based study published in Cell Metabolism by Line Pedersen, Pernille Hojman, and colleagues at the University of Copenhagen reporting that training mice regularly on a wheel (the mouse version of a treadmill) decreased the growth of multiple types of tumors, including skin, liver, and lung cancers. Furthermore, mice that exercised regularly had a smaller chance of developing cancer in the first place. The beneficial effects of running went beyond tumor formation and growth, extending to cancer-associated weight loss, a process termed cachexia that is seen in cancer patients. Mice that exercised regularly showed no signs of cancer-associated weight loss in the researchers’ lung cancer mouse model. The researchers say they identified several factors behind the anti-tumor effects of exercise. These anti-cancer effects are linked to the release of adrenaline (also called epinephrine), a hormone that is central to the “fight-or-flight” response. Adrenaline production is known to be stimulated by exercise. The researchers say that, the production of adrenaline results in a mobilization of immune cells, specifically one type of immune cell called a Natural Killer (NK) cell, to patrol the body. These NK cells are recruited to the site of the tumor by the protein IL-6, secreted by active muscles. The NK cells can then infiltrate the tumor, slowing or completely preventing its growth. Importantly, the researchers note that injecting the mice with either adrenaline or IL-6 without the exercise proved insufficient to inhibit cancer development, underlining the importance of the effects derived only from regular exercise in the mice. Along with offering encouragement for joggers and lap swimmers everywhere, this research points to the use of NK cells as a potential therapeutic strategy for multiple tumors. Newswise, April 14, 2016– Alzheimer’s not only steals people’s memories but also their ability to recognize faces, which widens the gulf between people with this disease and their loved ones. A recent study has demonstrated that, beyond causing memory problems, Alzheimer’s disease also impairs visual face perception. This finding may help families better understand their loved one's inevitable difficulties and lead to new avenues to postpone this painful aspect of the disease. Research in this area by the team of Dr. Sven Joubert, PhD, a researcher at the Centre de recherche de l'Institut universitaire de gériatrie de Montréal and a professor with the Department of Psychology at Université de Montréal, will be published tomorrow in the Journal of Alzheimer’s Disease. Face perception plays a fundamental role in human communication, which is why humans have evolved into experts at quickly detecting and identifying faces. This faculty is thought to depend on the ability to perceive a face as a whole. Also known as “holistic perception,” this ability is in contrast to the local and detailed analysis required to perceive individual facial features, such as the eyes, nose or mouth. Dr. Joubert’s study has demonstrated that the holistic ability to perceive faces is impaired by Alzheimer’s disease. For the study, the Montreal team recruited people with Alzheimer’s along with healthy seniors to study their ability to perceive faces and cars in photos that were either upright or upside down. Dr. Joubert explains the team's findings: “The results for people with Alzheimer's were similar to those in the control group in terms of answer accuracy and the time to process the upside-down faces and cars. “To perform these tasks, the brain must perform a local analysis of the various image components perceived by the eye. “ However, with the upright faces, people with Alzheimer’s were much slower and made more mistakes than the healthy individuals. This leads us to believe that holistic face recognition in particular becomes impaired. What's also surprising about this impairment is that it is observed in the early stages of the disease. Overall, Dr. Joubert’s study better explains the mechanism involved in the problem that people with Alzheimer’s have with recognizing the faces of family members or celebrities. The fact that impaired facial recognition might stem from a holistic perception problem—and not just a general memory problem—opens the door to different strategies (such as the recognition of particular facial traits or voice recognition) to help patients recognize their loved ones for longer. Newswise, April 7, 2016— While controlling blood pressure, blood sugar and LDL-cholesterol levels reduces the risk of cardiovascular disease in people with diabetes, only 7 percent of diabetic participants in three major heart studies had recommended levels of these three factors, according to research from the Heart Disease Prevention Program at the University of California, Irvine School of Medicine. The findings illustrate the need for persons with diabetes to better manage their blood pressure, blood sugar and LDL-cholesterol levels, which are prime indicators of future cardiovascular disease. The diabetic participants surveyed in the UCI review were enrolled in the three heart studies between the late ’80s and early 2000s, when treatment was not as good as it is now. Still, more recent data show that only 25 percent of Americans with diabetes achieve all three of these targets. The good news is that those in the heart studies who did control all three factors had a 62 percent lower risk of developing cardiovascular disease, according to Nathan D. Wong, lead author of the UCI report, which appears online in Diabetes Care. “But we have done a dismal job nationally at getting most of our patients with diabetes controlled for even just these three measures,” said Wong, director of the Heart Disease Prevention Program and a cardiology professor at UCI. “Since cardiovascular diseases – including coronary heart disease, stroke and heart failure – are leading causes of death for people with diabetes, these findings underscore the value of achieving target or lower levels of these modifiable risk factors,” he added. Wong and colleagues studied 2,018 adults (57 percent female) with diabetes mellitus but without known cardiovascular diseases who participated in the Atherosclerosis Risk in Communities Study, the Multi-Ethnic Study of Atherosclerosis or the Jackson Heart Study. Fifty-five percent were African American, 30 percent white, 11 percent Hispanic and 4 percent Asian/Pacific Islander. The researchers compared measurements of the three key factors to American Diabetes Association guidelines that were in effect at the time – blood pressure under 130/80 mmHg, LDL (or bad) cholesterol less than 100 mg/dL and blood HbA1c (glycated hemoglobin) under 7 percent. Forty-one percent of the study group were on target in one of the three categories; 27 percent had achieved two of the benchmarks; but only 7 percent met the recommended scores in all three. Study participants’ control of individual and composite factors was also examined in relation to the occurrence of new cardiovascular events (including heart attacks, coronary deaths, strokes, heart failure, percutaneous interventions and bypass surgeries) over an average follow-up of 11 years. Wong said that proper management of any one factor translated to a 36 percent lower risk, proper management of any two factors was linked to a 52 percent lower risk, and proper management of all three factors correlated to a 62 percent lower risk of cardiovascular events compared to those without any factors controlled. Blood pressure management appeared to benefit African Americans and women more than other ethnic groups or men; however, the converse was true for LDL control. “Our analysis of three large U.S. cohorts including persons in whom diabetes has been diagnosed shows those who were at target levels for HbA1c, blood pressure and LDL to have substantially lower risks for cardiovascular disease than persons with diabetes who were not at target levels for such factors,” Wong said. Yanglu Zhao, Rohini Patel, Christopher Patao and Shaista Malik of UCI; Alain Bertoni of Wake Forest University; Adolfo Correa and Herman Taylor of the University of Mississippi; Aaron Folsom of the University of Minnesota; Sumesh Kachroo and Jayanti Mukherjee of Bristol-Myers Squibb; and Elizabeth Selvin of Johns Hopkins University contributed to the work, which was supported by numerous National Institutes of Health grants and a contract between Bristol-Myers Squibb and UCI. Newswise, April 7, 2016-By adolescence, your brain already contains most of the neurons that you'll have for the rest of your life. But a few regions continue to grow new nerve cells--and require the services of cellular sentinels, specialized immune cells that keep the brain safe by getting rid of dead or dysfunctional cells. Now, Salk scientists have uncovered the surprising extent to which both dying and dead neurons are cleared away, and have identified specific cellular switches that are key to this process. "We discovered that receptors on immune cells in the brain are vital for both healthy and injured states," says Greg Lemke, senior author of the work, a Salk professor of molecular neurobiology and the holder of the Françoise Gilot-Salk Chair. "These receptors could be potential therapeutic targets for neurodegenerative conditions or inflammation-related disorders, such as Parkinson's disease." Two decades ago, the Lemke lab discovered that immune cells express critical molecules called TAM receptors, which have since become a focus for autoimmune and cancer research in many laboratories. Two of the TAM receptors, dubbed Mer and Axl, help immune cells called macrophages act as garbage collectors, identifying and consuming the over 100 billion dead cells that are generated in a human body every day. For the current study, the team asked if Mer and Axl did the same job in the brain. Specialized central nervous system macrophages called microglia make up about 10 percent of cells in the brain, where they detect, respond to and destroy pathogens. The researchers removed Axl and Mer in the microglia of otherwise healthy mice. To their surprise, they found that the absence of the two receptors resulted in a large pile-up of dead cells, but not everywhere in the brain. Cellular corpses were seen only in the small regions where the production of new neurons--neurogenesis--is observed. Many cells die normally during adult neurogenesis, but they are immediately eaten by microglia. "It is very hard to detect even a single dead cell in a normal brain, because they are so efficiently recognized and cleared by microglia," says Paqui G. Través, a co-first author on the paper and former Salk research associate. "But in the neurogenic regions of mice lacking Mer and Axl, we detected many such cells." When the researchers more closely examined this process by tagging the newly growing neurons in mice's microglia missing Mer and Axl, they noticed something else interesting. New neurons that migrate to the olfactory bulb, or smell center, increased dramatically without Axl and Mer around. Mice lacking the TAM receptors had a 70 percent increase in newly generated cells in the olfactory bulb than normal mice. How--and to what extent--this unchecked new neural growth affects a mouse's sense of smell is not yet known, according to Lemke, though it is an area the lab will explore. But the fact that so many more living nerve cells were able to migrate into the olfactory bulb in the absence of the receptors suggests that Mer and Axl have another role aside from clearing dead cells--they may actually also target living, but functionally compromised, cells. "It appears as though a significant fraction of cell death in neurogenic regions is not due to intrinsic death of the cells but rather is a result of the microglia themselves, which are killing a fraction of the cells by engulfment," says Lemke. "In other words, some of these newborn neuron progenitors are actually being eaten alive." This isn't necessarily a bad thing in the healthy brain, Lemke adds. The brain produces more neurons than it can use and then prunes back the cells that aren't needed. 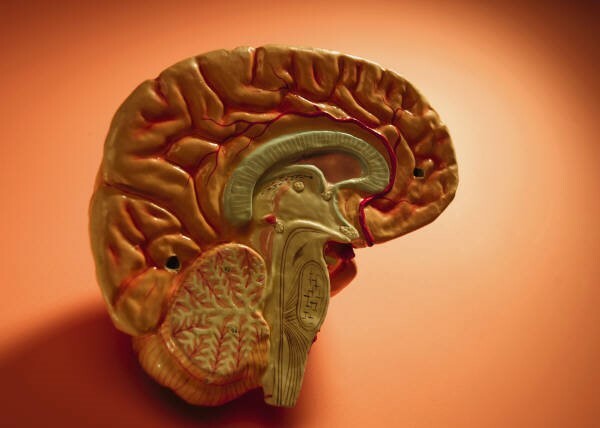 However, in an inflamed or diseased brain, the destruction of living cells may backfire. The Lemke lab did one more series of experiments to understand the role of TAM receptors in disease: they looked at the activity of Axl and Mer in a mouse model of Parkinson's disease. This model produces a human protein present in an inherited form of the disease that results in a slow degeneration of the brain. The team saw that Axl was far more active in this setting, consistent with other studies showing that increased Axl is a reliable indicator of inflammation in tissues. But the researchers were in for a surprise when they removed Axl and Mer from the Parkinson's mice. Instead of being worse off compared to mice with the disease but with normal microglia, the mice missing Axl and Mer actually lived longer. This may be because Axl and Mer target and destroy sick, dysfunctional neurons. In the presence of disease, there could be more dysfunctional neurons than normal, so Axl and Mer may be prompting the destruction of too many neurons, in effect hastening the disease. "It seems that we can modify the course of the disease in an animal model by manipulating Axl and Mer," says Lawrence Fourgeaud, a co-first author on the paper and former Salk research associate. The team cautions that more research needs to be done to determine if modulating the TAM receptors could be a viable therapy for neurodegenerative disease involving microglia. Every cure has a starting point. The Salk Institute embodies Jonas Salk's mission to dare to make dreams into reality. Its internationally renowned and award-winning scientists explore the very foundations of life, seeking new understandings in neuroscience, genetics, immunology and more. The Institute is an independent nonprofit organization and architectural landmark: small by choice, intimate by nature and fearless in the face of any challenge. Be it cancer or Alzheimer's, aging or diabetes, Salk is where cures begin. Learn more at: salk.edu. The compound in question is called coibamide A, discovered eight years ago by scuba-diving scientist Kerry McPhail, Ph.D., of Oregon State University. A new study shows coibamide A has potent anti-cancer activity in mice and cell cultures that model brain tumors and triple negative breast cancer, two of the most aggressive and difficult-to-treat types of cancer. “The chemical diversity found in nature has always been a significant source of inspiration for drug design and development, but although the medicinal properties of plants have been recognized for thousands of years, marine environments remain relatively unexplored,” said Jane Ishmael, Ph.D., associate professor of pharmacology at Oregon State University and the lead author of the new study. 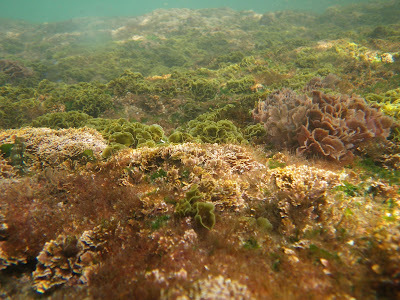 McPhail, who specializes in blue-green algae and dives all over the world in search of interesting species, collected the algae during a dive in Panama’s Coiba National Park. It turned out to be a mash-up of at least three algal species that grow together on rocks in areas with fast-moving water. 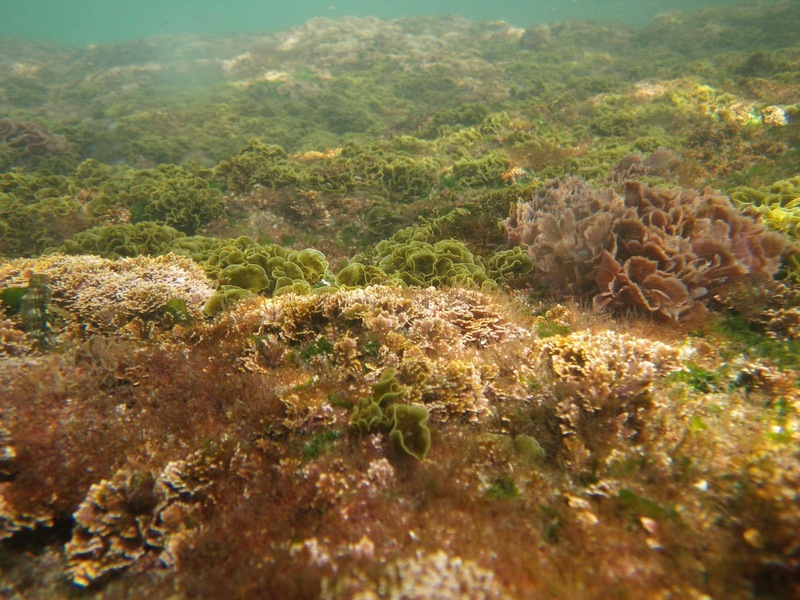 In addition to Panama, similar algal communities has been found in the Red Sea and off the coast of South Africa. Blue-green algae, or cyanobacteria, have existed for at least two billion years and are one of the oldest life forms on Earth. The screening revealed coibamide A to be capable of killing many types of cancer cells, but Ishmael decided to focus subsequent studies on two types in particular—brain tumors, or glioblastomas, and a breast cancer subtype known as triple negative breast cancer. “Patients with many other types of cancer already have some really excellent treatment options, so we were interested in focusing on some of the kinds of cancer that haven’t had as much success with pharmacological development,” said Ishmael. 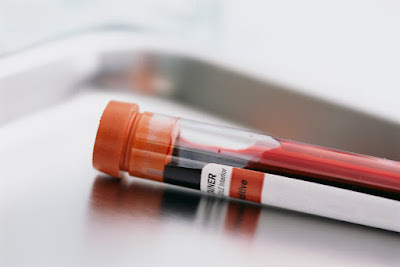 The team’s experiments in cell cultures, conducted with funding from an American Brain Tumor Association Discovery Grant, showed that coibamide A cuts off the cancer cells’ ability to communicate with blood vessels and other cells, eventually starving the cell and triggering its death. In an animal model for glioblastoma in which human tumor cells are grown in a mouse’s flank, treatment with coibamide A significantly reduced tumor size. The team’s next steps are to test coibamide A in a mouse model for triple negative breast cancer and in a mouse model for brain cancer in which the glioblastoma cells are grown in the brain instead of the flank. Glioblastomas are particularly difficult to treat because these tumors grow exceptionally quickly and do not respond well to most available chemotherapy drugs. Surgery, followed by radiation treatment, is usually recommended, but it is difficult to remove every last cancer cell and the tumor often rebounds. One challenge in developing drugs to fight brain tumors is that agents must be able to cross the blood-brain barrier, a filtering mechanism that only allows certain types of substances to enter the brain. It is not yet clear whether coibamide A would be able to cross the blood-brain barrier, an aspect the team plans to investigate in the future. Ishmael said even if coibamide A itself cannot enter the brain or turns out to have adverse side effects, knowing its structure and mechanism of action can help researchers develop new drugs that mimic coibamide A’s effects. “So far, there isn’t a drug in clinical use or in any clinical trials that works in this way. We’re using it to try to reveal a new pathway to trigger cell death in these cancer cells that have traditionally been considered very resistant to cell death,” said Ishmael. Those research efforts recently got a lot easier when collaborators at Japan’s Kyoto University developed a method to produce coibamide A synthetically. Previously, Ishmael’s team had relied on samples isolated from natural specimens, which could not be grown in the lab and had to be harvested from marine environments. With the new synthetic form of coibamide A now available, the team hopes to move forward quickly toward developing the compound into a nature-inspired cancer drug. Newswise, April 7, 2016 — Since 1980, the number of adults with diabetes worldwide has quadrupled from 108 million to 422 million in 2014, according to a new study published in The Lancet. The findings provide the most comprehensive estimates of worldwide diabetes trends to date and show that diabetes is fast becoming a major problem in low and middle income countries. "Diabetes has become a defining issue for global public health. An ageing population, and rising levels of obesity, mean that the number of people with diabetes has increased dramatically over the past 35 years" says Professor Majid Ezzati, senior author from Imperial College London, London, UK. "Rates of diabetes are rising quickly in China, India, and many other low and middle income countries, and if current trends continue, the probability of meeting the 2025 UN global target is virtually non-existent." The study, released ahead of World Health Day (7th April), includes data from 751 studies totalling 4.4 million adults in different world regions. The study estimates age-adjusted diabetes prevalence for 200 countries - meaning that researchers adjusted the results to account for diabetes becoming more common as a person ages and for some countries having older populations. Between 1980 and 2014, diabetes has become more common among men than women. Global age-adjusted prevalence of diabetes doubled among men (4.3% to 9.0%) and increased by two-thirds among women (5.0% to 7.9%). Although there was an increase in overall rates (crude prevalence) of diabetes in many countries in Western Europe, age-adjusted rates were relatively stable suggesting that most of the rise in diabetes in Western Europe between 1980 and 2014 was due to the ageing population. In contrast, rates of diabetes increased significantly in many low and middle income countries - such as China, India, Indonesia, Pakistan, Egypt and Mexico. No country saw a significant decrease in diabetes prevalence. The study did not differentiate between type 1 and type 2 diabetes, but most (85-95%) of cases of adult diabetes are type 2 so the observed rise is likely to be due to increases in type 2 diabetes. Professor Ezzati adds: "Obesity is the most important risk factor for type 2 diabetes and our attempts to control rising rates of obesity have so far not proved successful. Identifying people who are at high risk of diabetes should be a particular priority since the onset can be prevented or delayed through lifestyle changes, diet or medication." • In the UK, after adjusting for an ageing population, 4.9% of women have diabetes in 2014 (compared to 4.0% in 1980). Prevalence has increased more among men, from 4.8% in 1980 to 6.6% in 2014. • Northwestern Europe has the lowest rates of diabetes among women and men, with age-adjusted prevalence lower than 4% among women and at 5-6% among men in Switzerland, Austria, Denmark, Belgium and the Netherlands. • Prevalence of diabetes was highest in Polynesia and Micronesia (age-adjusted prevalence is over 20% in men and women). In American Samoa, nearly one third of the adult population have diabetes. • The greatest increases in diabetes prevalence were in Pacific island nations, followed by the Middle East and North Africa, in countries like Egypt, Jordan and Saudi Arabia. • Half of adults worldwide with diabetes in 2014 lived in five countries: China, India, USA, Brazil and Indonesia. • Age-adjusted prevalence of diabetes has more than doubled for men in India and China (3.7% to 9.1% in India; 3.5% to 9.9% in China); and increased by 50% among women in China (5.0% to 7.6%) and 80% among women in India (4.6% to 8.3%). • In the US, age-adjusted prevalence of diabetes in women increased by 50% (4.3% to 6.4%), and 80% in men (4.7% to 8.2%). • Pakistan, Mexico, Egypt and Indonesia are all now in the top 10 countries with the largest number of adults with diabetes. Age-adjusted prevalence of diabetes doubled in Pakistan (4.9 to 12.6% for men and 5.9 to 12.1% for women), Mexico (6.5 to 10.9% for men and 6.5 to11.5% for women), and Indonesia (3.2 to 7.4% for men and 4.1 to 8.0% for women) and nearly tripled in Egypt (6.5 to 16.0% for men and 8.0% to 19.8% for women). Writing in a linked Comment, Etienne Krug, Management of Noncommunicable Diseases, Disability, Violence and Injury Prevention, World Health Organization, Geneva, Switzerland, says: "The prevalence estimates provided by the NCD-Risk Factor Collaboration sound the alarm for large-scale, effective action to reduce the health and economic impact of diabetes. Improvements in prevention and management, together with better surveillance, should be prioritised in response to this call." Newswise, April 7, 2016 — While most cases of osteoporosis are caused by normal aging, another leading cause of the bone-loss disease is a condition called hyperparathyroidism, in which the parathyroid glands release an excessive amount of a hormone that regulates the body’s calcium levels. Doctors commonly treat hyperparathyroidism using a class of prescription drugs called bisphosphonates, including alendronate (marketed under the brand name Fosamax) and ibandronate (Boniva), which are supposed to strengthen bones. Now, a study led by scientists at UCLA found that those drugs actually increase the risk of fracture, meaning that taking them is worse than doing nothing at all to treat the condition. The research also revealed that patients who have surgery to remove the overactive parathyroid glands have fewer subsequent bone fractures. The report appears in the April 5 issue of the Annals of Internal Medicine. 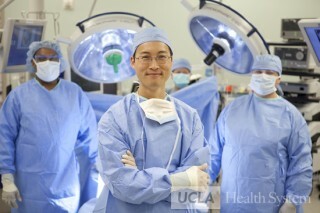 About 400,000 people in the U.S. — 1 in 400 women and 1 in 1,200 men — have hyperparathyroidism; and osteoporotic fractures are a major public health and economic burden, said Dr. Michael Yeh, an associate professor of surgery and medicine, and the study’s first author. “Hip fractures in particular are associated with significant rates of mortality, disability and loss of independence,” said Yeh, who also is the chief of endocrine surgery at the UCLA David Geffen School of Medicine. The researchers analyzed data from more than 6,000 people who had been diagnosed with hyperparathyroidism between 1995 and 2010. All had health care coverage through Kaiser Permanente Southern California, and their demographic and socioeconomic profiles mirrored those of the greater Los Angeles population. • Among study participants who were not treated for hyperparathyroidism, there were 56 hip fractures per 1,000 people after 10 years. • Among those who had parathyroid surgery, there were just 20 fractures per 1,000 people. • For those taking bisphosphonate medications, the rate of hip fractures was 86 per 1,000 patients — higher than the combined rate for those who underwent surgery or did nothing at all. For people who did not receive treatment, there were 206 fractures per 1,000; for those who had surgery, 157 fractures per 1,000; and for those taking bisphosphonate medications, 303 fractures per 1,000. Yeh said it was also surprising that people taking medications had a higher risk for fractures, even though X-rays showed that they had similar gains in bone density to the people who had undergone surgery. Researchers also found that the risk for fractures among people taking bisphosphonates was higher whether people had osteopenia, or early bone loss, or full-blown osteoporosis, which Yeh said could suggest that either the drugs themselves are harmful or that the people taking them had other risk factors. “Regardless, we were unable to demonstrate any benefit associated with this class of drugs, which have been around and routinely prescribed for more than 20 years,” he said. Yeh said more research is needed to see if bisphosphonates also increase the risk for fractures for people with underlying causes of osteoporosis other than hyperparathyroidism. Women are more likely to have osteoporosis; other key risk factors are a lack of vitamin D, calcium or estrogen. Osteoporosis afflicts some 54 million people over age 50 in the U.S. and is responsible for 2 million bone fractures a year. The study’s other authors were Ning Li and Dr. Philip Ituarte of UCLA, and Hui Zhou, Annette Adams, In-Lu Amy Liu and Dr. Philip Haigh of Kaiser Permanente Southern California. Funding was provided by the National Institutes of Health (RFA-AG-11-007). Newswise, April 7, 2016– For many people, coronary artery disease, or CAD—the buildup of plaque in the heart’s arteries—is an unfortunate part of aging. By studying the genetic makeup of those who manage to maintain clear arteries into old age, researchers have identified a possible genetic basis for the disease, as well as potential new opportunities to prevent it. “We believe that our ever-increasing population of people age 65 and older holds the key to understanding CAD,” said Jonathan Schisler, Ph.D., assistant professor of pharmacology at McAllister Heart Institute of the University of North Carolina at Chapel Hill, who led the research team. Schisler and his colleagues analyzed blood samples and heart scans from 143 people over age 65 who were referred to UNC Hospitals for cardiovascular screening. The analysis revealed that people with clear arteries had markedly higher levels of a protein called CXCL5, as well as genetic variants near the CXCL5 gene, compared with people with more plaque. “CXCL5 looks to be protective against CAD, and the more CXCL5 you have, the healthier your coronary arteries are,” said Schisler. Schisler will present this research at the American Society for Investigative Pathology Annual Meeting during Experimental Biology 2016. “Identifying targets that may lead to treatments or preventative measures for CAD has immense public health value and the potential to impact many people,” said Schisler. Previous studies linked the CXCL5 protein with inflammation, leading some researchers to assume it was harmful. But recent research in mice suggested the protein could help limit plaque buildup by changing the composition of fat and cholesterol deposits in the arteries. This study offers the first evidence that CXCL5 could play a protective role in people, at least in the context of CAD. In addition to offering clues about how CAD develops, the study opens new possibilities for prevention and treatment. For example, it may be possible to develop a drug that mimics the effects of CXCL5 or that increases the body’s natural CXCL5 production to help prevent CAD in people at high risk. The protein could even potentially be leveraged to develop a new, nonsurgical approach to help clear already-clogged arteries. One limitation of the study is that because all participants were referred for a heart scan, the study did not include a group of healthy controls. Further research is needed to confirm the role of CXCL5 in CAD and explore drug development opportunities. Newswise, April 5, 2016— Potential new approaches to treating eye diseases such as age-related macular degeneration (AMD) are described in a new study, “IL-33 amplifies an innate immune response in the degenerating retina,” in the February Journal of Experimental Medicine. AMD is a leading cause of vision impairment in old age, and is caused by the degeneration of cells in the retinal layer of the eye. Retinal cell death can be induced by phagocytic immune cells that infiltrate the tissue in response to injury or infection, but the molecular signals that trigger phagocyte invasion are largely unknown. A team of researchers led by Hongkang Xi and Menno van Lookeren Campagne, of the Department of Immunology at Genentech, Inc., in South San Francisco, Calif., discovered that a pro-inflammatory signaling protein, or cytokine, called IL-33, plays a key role in recruiting phagocytes to damaged retina and inducing retinal degeneration. Working with rats and mice, Xi and colleagues found that specialized retinal cells called Müller glial cells release IL-33 in response to retinal injury. The cytokine then binds to its receptor on the surface of the Müller cells and induces the release of additional inflammatory proteins that attract phagocytes to the damaged retina. Blocking the IL-33 receptor inhibited this process and prevented injury-induced retinal degeneration. The researchers also found that IL-33 levels are increased in the retinas of AMD patients, suggesting that the same pathway may occur in humans. Inhibiting IL-33 may therefore help treat AMD and other retinal degenerative diseases. “This study for the first time shows increased expression of IL-33 in AMD and further demonstrates a role for glia-derived IL-33 in the accumulation of myeloid cells in the outer retina, loss of photoreceptors, and functional impairment of the retina in preclinical models of retina stress,” the authors note. Newswise, April 5, 2016 — Low levels of total vitamin D and bioavailable vitamin D can help predict a person’s risk of major adverse cardiovascular events such as a heart attack, stroke, heart failure or death, according to a first-of-its-kind study from the Intermountain Medical Center Heart Institute in Salt Lake City. During metabolism, only 10–15 percent of total vitamin D is available in the body to act on target cells, as most are bound to vitamin D binding proteins. 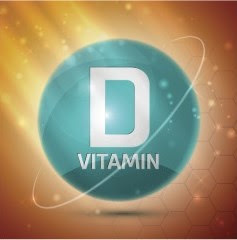 Therefore, evaluating whether the proportion of vitamin D that can be used may be important, as only unbound vitamin D, such as bioavailable vitamin D, is available to act on target cells. Other members of the Intermountain Medical Center Heart Institute research team included Oxana Galenko, PhD, John F. Carlquist, PhD, Lindell K. Weaver, MD, Stacey Knight, PhD, Tyler Barker, PhD, and Brent J. Muhlestein, MD. Intermountain Medical Center is the flagship facility for the Intermountain Healthcare system, which is based in Salt Lake City. Newswise, April 5, 2016— In obese middle-aged men, losing weight while dieting normally depletes both fat and muscle. But adding testosterone treatment may help them lose only fat and retain their muscle, new research suggests. Overall, 40 percent of obese men have a low testosterone. Weight loss due to calorie restriction is associated with increased circulating testosterone, and testosterone treatment reduces fat. However, researchers don’t know whether adding testosterone treatment to calorie restriction reduces fat mass more than calorie restriction alone. “There is an epidemic of obesity and related functional hypogonadism, yet testosterone treatment remains controversial,” said principal investigator Mathis Grossmann, MD, PhD, FRACP, associate professor in the Department of Medicine at the University of Melbourne in Victoria, Australia. 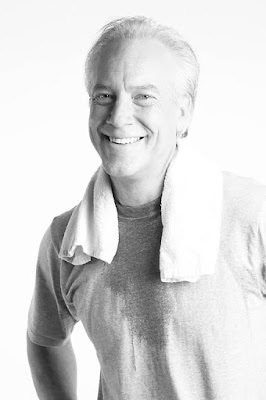 Dr. Grossman and colleagues conducted a clinical trial of 100 fairly healthy obese men from the local community between 20 and 70 years of age who had low testosterone levels. Overall, 20 percent of them had diabetes and 10 percent had heart disease. For the first 10 weeks, all participants were placed on a strict 600 kcal per day very-low calorie diet. They were also encouraged to abstain from alcohol and perform at least 30 minutes a day of moderate exercise. From the 11th through the 56th week, participants in both groups used a weight-maintenance diet based on the Australian Commonwealth Scientific and Industrial Research Organisation (CSIRO) Total Wellbeing Diet comprising of normal foods. Every 10 weeks over the 56-week-long study, 49 men also received injections of 1,000mg of intramuscular testosterone undecanoate, and 51 took placebo. At the end of 56 weeks, both groups lost roughly 11 kg (24.2 lb). But those in the testosterone group lost almost exclusively fat, while those on placebo lost both lean and fat. The men taking testosterone lost 3 kg (6.6 lb) more body fat than those on placebo and maintained their muscle mass, while those on placebo lost 3.5 kg (7.7 lb) of muscle mass.